In this generation, when more and more members of the baby boomers are reaching the aging years, the choice for getting Home Care Services becomes even more prominent. Being at home provides a very comfortable and familiar avenue for seniors, especially that their loved ones are just close to their access. However, even when they’re at home, safety can still be a top concern for aging individuals even when they’re just at home. The aging years have increased their risk to falls or minor accidents which can gravely affect their overall health and wellbeing. Hence, it’s best if you’re able to put up safety measures at home to protect your elderly loved one’s welfare. Here are the household products that can help keep your Granny or aging parent safe at home. Putting locks in cabinets or storage areas can keep your senior loved one from taking items that can be harmful to their health. Especially when they have dementia or mental issues, you wouldn’t want your loved one to have easy access to sharp items or poisonous elements. Furthermore, securing the doorways with locks can also discourage your loved one from leaving the house without someone providing Companionship Care in Florida. The bathroom is also another area at home that can be risky for your aging family member. The slippery floors can put them at risk of slip-ups and falls. By installing shower seats or rails in these areas, they can grab on to something easily when they feel like they’re going to slip. These devices can help prevent your senior loved one to be hurt from boiling water especially in the bathroom. When they’re taking a shower, for instance, the water heater can be adjusted automatically so that your senior loved one can still take a bath without being hurt. While we don’t want any emergency incident to happen, still we cannot keep these from happening. Emergency situations are bound to come naturally or when triggered by people. When you have alarm systems for fire, illegal entry, or other incidents, the individuals staying at home that time can be immediately alerted for the situation and can easily find the resolution. These kinds of equipment can be worn by your aging loved one especially if they’re prone to wandering. When they have these devices on, you can easily find them especially if they’ve gone disoriented and went to other places. This can be especially helpful for seniors who dementia, which is one of the common illnesses among senior individuals. 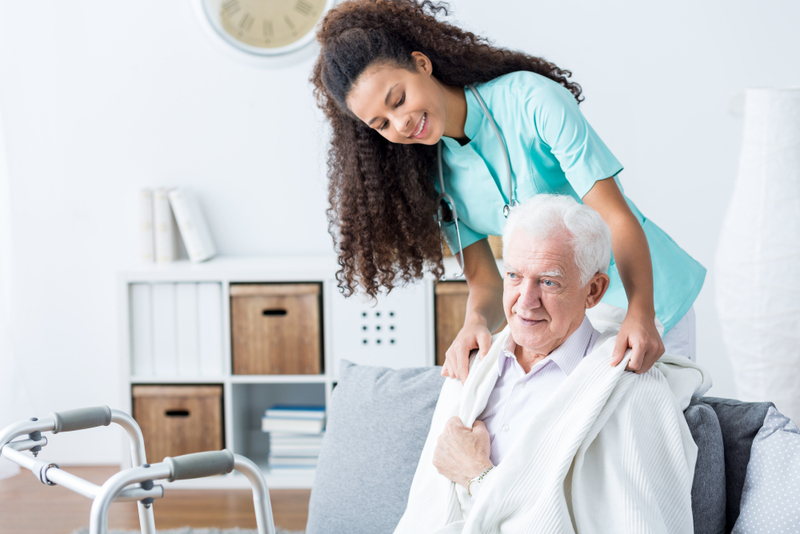 Being a key provider of Non-Medical Home Care in Winter Haven FL, Compassion Home Care can help you see to it that your aging family member can be kept safe and secure in the place where they find comfort and love. With our assistance, we can keep an eye on your loved one for you so their health and welfare is not compromised when you’re not physically around. This entry was posted in Home Care Services and tagged Caregivers, Companionship, Home-bound Seniors, Personal Care, Safety Products. Bookmark the permalink.